BASED ON RESOLUTION No. 12 OF THE STEERING COMMITTEE OF THE SEVENTH BUDDHIST COUNCIL, THE PRESENT ACT GIVES FORMAL AND PROTOCOLLED BIRTH TO THE FIRM NAME OR DENOMINATION: INTERNATIONAL BUDDHIST ETHICS COMMITTEE & BUDDHIST TRIBUNAL ON HUMAN RIGHTS. ON THE BASIS OF THE DE CONSTITUTIVE ACT OF MARCH 1st, 2015 THE FOLLOWING STATUTES AND PROCEDURES ARE SUSTAINED AND UNDERPINNED AS JUDICIAL POWER OF MAITRIYANA BUDDHIST COMMUNITY. ARTICLE 1.- The central office will be International Buddhist Ethics Committee, Tiptrans, Ste #19307, Hauptstrasse 20, Neugersdorf, 02727 (Sachsen), Germany. ARTICLE 2.- The Nationality of the INTERNATIONAL BUDDHIST ETHICS COMMITTEE & BUDDHIST TRIBUNAL ON HUMAN RIGHTS, will be “Transnational”, by establishing that its members shall have diversity in terms of nationalities. ARTICLE 3.- The Duration of the INTERNATIONAL BUDDHIST ETHICS COMMITTEE & BUDDHIST TRIBUNAL ON HUMAN RIGHTS will be “Indefinite” or “Perennial” as from the celebration of this Constitutive Act. a) To analyze cases of violations on Buddhist Ethics perpetrated by Buddhist or apparently Buddhist People or institutions, dictating Responsibility or Innocence of them. b) To analyze cases of violations against the rights of Buddhist People around the world, dictating the Responsibility or Innocence of the Accused. c) To analyze cases of Human Rights violations perpetrated by countries, companies or international organizations committed to the detriment of all kinds of Persons, including attacks against the integrity of Animal Species, Ecosystems and the Earth (Gaia), dictating the Responsibility or Innocence of them. ARTICLE 5.- It will be custom of the Ethics Committee analyzing the cases of violations by individuals and Institutions against Buddhism, while the Tribunal of Human Rights will examine the violations committed by corporations and governments against civil population. ARTICLE 6.- The INTERNATIONAL BUDDHIST ETHICS COMMITTEE seeks the fulfillment of the Buddhist precepts, prioritizing study the study of violations of basic ethical rules of Buddhism, such as acts of violence, fraud, sexual abuse, slander and drug abuse by Buddhist and spiritual movements. ARTICLE 7.- The BUDDHIST TRIBUNAL OF HUMAN RIGHTS complies with the bodhisattva vows, assuming the project of salvation of all living beings, fighting the illusions of civilization, acquiring the straightness of the Supreme Laws and realizing the path of the Awakened Ones (Buddhas). ARTICLE 8.- In cases of Human Rights violations, it will be given priority to international crimes of Genocide, Ethnic Cleansing, Crimes against Humanity, War Crimes, Ecocide and Crimes against Peace, which threaten the peace and well-being of Buddhist Peoples and all humanity. ARTICLE 9.- It is also considered as International Crimes the violation of animal rights, terrorism, violation of the right to freedom of expression, violation of the rights of tribal peoples, human trafficking, drug trafficking, corruption, religious discrimination, torture, violation of the right to justice, fascism, illegal detention, violation of the rights of women and children, crimes against peace, the use of religious emblems to commit crimes, and the violation of the principles of international organizations. ARTICLE 10.- The International Buddhist Ethics Committee & Buddhist Tribunal on Human Rights has different functions: Teaching function, Advisory function, Normative function, Mediating function and Sanctioning function. The Educational Function, which is the most important and primordial, can be carried out in three levels: internal (directed to the members of the Committee), external (directed to Buddhist People) and social (when a certain judgment of the Committee transcends outside the Buddhist scope and it has an effect on the international community). ARTICLE 11.- It will be a priority the analysis of cases occurred in the XXI Century. However, cases that are previous to XXI century will also be examined provided that those accused are alive, since they have the right to defense. This means the recognition of the imprescriptibility of violations against Buddhist Ethics and Human Rights. PRESIDENT and SPIRITUAL JUDGE (Vinayadhara): Is that who shall have the faculty to advocate for the appropriate functioning of the Committee and Tribunal, by providing ethical guidance to the Prosecutor and the Public Defender during the stage of procedure, by validating charges, evidences and procedures. In addition, he or she shall have to exert Presidency during the stage of Judgment and Ethical Conclusion in the Case. For this position it is required to be Master of Buddhist Spirituality as well as having formal knowledge in International Law. PROSECUTOR: That who shall have the faculties to investigate and prosecute People, Institutions or Countries accused of committing violations against Buddhist Spirituality or Human Rights, by bringing evidences of the case to the Jury Members. For this position it is an imperative requirement not only to have and Academic Training in Law or Human Rights, but also to have Buddhism studies. PUBLIC DEFENDER: Who shall have the faculty to defend the accused party in cases in which the latter does not have his or her own lawyer faced of the procedures of the Committee and Tribunal, by being able to impugn charges and evidences submitted by the Prosecutor. For this position it is indispensable requirement not only have an academic training in Law or Human Rights, but also to have Buddhism Studies. SECRETARY: Is that who will have the faculty to establish institutional ties with other international courts, such as the International Criminal Court (ICC) and the International Court of Justice (ICJ), sharing them the evidences and judgments of the cases performed by the Buddhist Tribunal on Human Rights. For the position it is an indispensable requirement being a Buddhist and having administrative experience. PEACE AMBASSADOR: Is that who will have the faculty to share a message the peace on behalf the Committee and Tribunal around the world. ARTICLE 14- The five positions of the Board of Directors will last forever, being able to be replaced or reelected through voting of the institutional members. ARTICLE 15.- Those who aspire to become individual members will be able to be a part of the Committee and Tribunal as Jury Members with the approval of 60% of positive votes of the Board of Administration. ARTICLE 16.- To be a Member of the Jury, the candidate must meet the following requirements: Being a Buddhist, Represent a Buddhist Organization and having appropriate behavior. ARTICLE 17.- In some cases the figure of the Friend of the Court (Amicurs Curiae) will be allowed for participation, who could may bring charges or defenses inside the Committee and the Tribunal. ARTICLE 18.- Members must have signed a solemn pledge to respect the values of the Buddha-Dharma-Sangha. ARTICLE 19.- The Committee and Tribunal may exclude temporarily or permanently those Members who violate the Internal Regulations and Procedures; who commit violations to Buddhist ethics; or those who fail to comply with their functions, this being a decision that will be taken with 60% of positive votes of the Board of Directors. ARTICLE 20.- The INTERNATIONAL BUDDHIST ETHICS COMMITTEE & BUDDHIST TRIBUNAL ON HUMAN RIGHTS reserves the rights concerning Title, Name, Patent, Copyright, Management, Paperwork, Procedures and everything that will be done in the performance of their functions. ARTICLE 21.- The INTERNATIONAL BUDDHIST ETHICS COMMITTEE & BUDDHIST TRIBUNAL ON HUMAN RIGHTS will not charge fees, face of which will offer free Memberships. However, it will be open to receive donations or sponsors; contributions of its institutional members and organization of courses, which will be destined to cover the costs of maintenance of Headquarters, administrative procedures and costs of investigation of cases. ARTICLE 22.- The meetings of the INTERNATIONAL BUDDHIST ETHICS COMMITTEE & BUDDHIST TRIBUNAL ON HUMAN RIGHTS will be held in person and / or by using digital media such as Internet and its applications, always having the supreme responsibility to be faithful to the Truth. ARTICLE 23.- The statutes and procedures may frequently be updated from five legal sources: the ancient legal code (Vinaya) of the Buddhist people; the laws enacted by the Buddhas of history; the laws enacted by the current board of the Committee and Tribunal; the laws enacted by the President and Spiritual Judge; the laws of International Law and the human rights instruments. The authority of these updatings should shall always be investigated and confirmed, being adopted only if they are in conformity with the spirit existing in the Buddha-Dharma-Sangha. ARTICLE 24.- Statutory changes of procedures shall not invalidate previous cases’ actions carried out by the Committee and Tribunal. ARTICLE 25.- The present Procedure of the INTERNATIONAL BUDDHIST ETHICS COMMITTEE & BUDDHIST TRIBUNAL ON HUMAN RIGHTS is not regulated by any state authority, being a process of ethical and spiritual nature which continues with the ancient justice system of the Buddhist Law. Nevertheless, the procedure is legal because it relies on the “special jurisdiction” of Tribal Law, but also in the “universal jurisdiction” of International Law. Thus, the Committee and Tribunal have the right to promote, develop and maintain the institutional structures of Buddhist people and their distinctive customs, traditions, procedures and juridical practices, simultaneously adhering to internationally recognized standards such as Declarations, Covenants and International Conventions on Human Rights, especially emphasizing the “169th Convention of the International Labour Organization (ILO) on Indigenous and Tribal Peoples” of 1989, along with the “UN Declaration on the Rights of Indigenous Peoples” of 2007, and the American Declaration on the Rights of Indigenous Peoples of 2016. ARTICLE 26.- The INTERNATIONAL BUDDHIST ETHICS COMMITTEE & BUDDHIST TRIBUNAL ON HUMAN RIGHTS is protected by formal instruments of the International Law of Human Rights, like the “United Nations Declaration on the Rights of Indigenous Peoples”, which said: “Article 5. Indigenous peoples have the right to maintain and strengthen their distinct political, legal, economic, social and cultural institutions, while retaining their right to participate fully, if they so choose, in the political, economic, social and cultural life of the State. (…) Article 34. Indigenous peoples have the right to promote, develop and maintain their institutional structures and their distinctive customs, spirituality, traditions, procedures, practices and, in the cases where they exist, juridical systems or customs, in accordance with international human rights standards. (…) Article 40. Indigenous peoples have the right to access to and prompt decision through just and fair procedures for the resolution of conflicts and disputes with States or other parties, as well as to effective remedies for all infringements of their individual and collective rights. Such a decision shall give due consideration to the customs, traditions, rules and legal systems of the indigenous peoples concerned and international human rights.” Also, the AMERICAN DECLARATION ON THE RIGHTS OF INDIGENOUS PEOPLES said: Article VI. Indigenous peoples have collective rights that are indispensable for their existence, well-being, and integral development as peoples. In that regard, States recognize and respect the right of indigenous peoples to their collective action; to their juridical, social, political, and economic systems or institutions; to their own cultures; to profess and practice their spiritual beliefs; to use their own tongues and languages; and to their lands, territories and resources. States shall promote, with the full and effective participation of indigenous peoples, the harmonious coexistence of the rights and systems of different population groups and cultures. Article XXII. 1. Indigenous peoples have the right to promote, develop and maintain their institutional structures and their distinctive customs, spirituality, traditions, procedures, practices and, in the cases where they exist, juridical systems or customs, in accordance with international human rights standards. 2. Indigenous law and legal systems shall be recognized and respected by national, regional and international legal systems. ARTICLE 28.- The INTERNATIONAL BUDDHIST ETHICS COMMITTEE & BUDDHIST TRIBUNAL ON HUMAN RIGHTS is endorsing the Universal Declaration of Spiritual Rights, the Universal Declaration of Ecological Rights, the Universal Declaration on the Right to World Peace, the Universal Declaration on the Rights of Buddhist Peoples and Spiritual Communities, the Universal Declaration on the Rights of Non-Human Beings, the Universal Declaration on the Right to Interspiritual and Interfaith Harmony, the Universal Declaration on the Responsibility to Save the World, the Declaration of Independence of the United Buddhist Nations Organization, the Universal Declaration on Buddhism as Cultural Heritage of Humanity, the Buddhist Manifesto to the Nations of the World, the Buddhist Statement against Terrorism and Religious Manipulation, and the Buddhist Convention on Human Rights. ARTICLE 29.- The INTERNATIONAL BUDDHIST ETHICS COMMITTEE & BUDDHIST TRIBUNAL ON HUMAN RIGHTS is endorsing the Earth Charter. ARTICLE 30.- The INTERNATIONAL BUDDHIST ETHICS COMMITTEE & BUDDHIST TRIBUNAL ON HUMAN RIGHTS is registered as Institutional Member of ATALM Association of Tribal Archives, Libraries, and Museums. ARTICLE 31.- The INTERNATIONAL BUDDHIST ETHICS COMMITTEE & BUDDHIST TRIBUNAL ON HUMAN RIGHTS is fully autonomous and established for the sole purpose to know, decide and dictate about actions and omissions in the universal practice of Buddhist Ethics and Human Rights. Unlike the Administration of State Law and Punitive Justice, dedicated to the deprivation of liberty and monetary sanction, the Committee and Tribunal shall be referred to determine the ethical and humanitarian responsibility for the action committed by the Accused, by having the Purpose of the Human Right to Truth, Access to Justice, Reparation, Reconciliation and Learning. 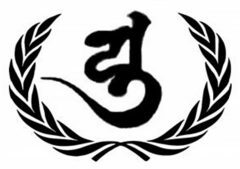 ARTICLE 32.- The INTERNATIONAL BUDDHIST ETHICS COMMITTEE & BUDDHIST TRIBUNAL ON HUMAN RIGHTS is Founding Institutional Member of United Buddhist Nations Organization, with Registration Number A012017. ARTICLE 33.- The INTERNATIONAL BUDDHIST ETHICS COMMITTEE & BUDDHIST TRIBUNAL ON HUMAN RIGHTS inherits the ancient Buddhist Tribal Law procedures, but also belongs to the contemporary paradigm of restorative justice. ARTICLE 34.- The INTERNATIONAL BUDDHIST ETHICS COMMITTEE & BUDDHIST TRIBUNAL ON HUMAN RIGHTS is registered as Institutional Member of RESTORATIVE JUSTICE INTERNATIONAL. ARTICLE 35.- The INTERNATIONAL BUDDHIST ETHICS COMMITTEE & BUDDHIST TRIBUNAL ON HUMAN RIGHTS wins immunity for being a tribal court of the Buddhist people. However, this tribal sovereign immunity for the organization and its board members is limited in cases of international crimes. Such immunity by the members of the Committee and the Court does not mean impunity, since it is offering to any victim or claimant certain internal dispute resolution procedures, ensuring respect for the human right to access to justice. The same criteria used by the Committee and Tribunal to win non-absolute sovereign immunity is applied when analyzing violations of human rights committed by States, which before the Buddhist Justice have no sovereign immunity for international crimes of genocide, ethnic cleansing, crimes against humanity, war crimes and ecocide. ARTICLE 36.- The INTERNATIONAL BUDDHIST ETHICS COMMITTEE & BUDDHIST TRIBUNAL ON HUMAN RIGHTS aims to repair both ethical failures as well as legal and bureaucratic failures that international courts and tribunals of justice have, especially in cases where the Perennial Law (Jus cogens) or Essential Human Rights are violated under the pretext of immunity which provides impunity to the States accused of international crimes. ARTICLE 37.- The INTERNATIONAL BUDDHIST ETHICS COMMITTEE & BUDDHIST TRIBUNAL ON HUMAN RIGHTS will judge in Equity with the Purpose of repaid injustices derived from procedures in Law. ARTICLE 38.- The INTERNATIONAL BUDDHIST ETHICS COMMITTEE & BUDDHIST TRIBUNAL ON HUMAN RIGHTS is registered as Institutional Member of HUMAN RIGHTS LAWYERS ASSOCIATION. ARTICLE 39.- The INTERNATIONAL BUDDHIST ETHICS COMMITTEE & BUDDHIST TRIBUNAL ON HUMAN RIGHTS has absolute jurisdiction on members of the Buddhist People, and also jurisdiction on those who are directly or indirectly related with the Sangha, even if they are not signatories of the framework of Buddhist Law. ARTICLE 41.- The INTERNATIONAL BUDDHIST ETHICS COMMITTE & BUDDHIST TRIBUNAL ON HUMAN RIGHTS will receive cases submitted by Buddhist institutions, organizations and citizens around the world. Facing a case that is submitted only by an individual, he or she should be endorsed by any institution Member of the Committee. On the basis of Buddhist Ethics and the Human Rights, it will be analyzed the admissibility or inadmissibility of the reception and opening of the case. The Committee and Tribunal will be in session after collecting sufficient, concrete and concise Evidence about the cases presented. ARTICLE 42.- The Prosecutor will collect the Evidence on the possible case of violation of Buddhist ethics or Human Rights. These evidences will come both from the Claimant or Offended Party and from the investigations of the INTERNATIONAL BUDDHIST ETHICS COMMITTEE & BUDDHIST TRIBUNAL ON HUMAN RIGHTS. Evidences will be analyzed by the Prosecutor, who will decide if the case merits the Procedure of “Ethical Judgment”. ARTICLE 43.- In the context of its own investigations, the Prosecutor may request evidence from organizations or States. ARTICLE 44.- The INTERNATIONAL BUDDHIST ETHICS COMMITTEE & BUDDHIST TRIBUNAL ON HUMAN RIGHTS will provide the opportunity to the Imputed or Requested Party in order that in the term of 5 working days issues a Response of what it considers as a defense or accepts and adheres to the facts alleged against said Party in the Indictment and may justify their actions or present evidence of his innocence. The omission or refusal to issue Response and / or provision of evidence will not be considered as acceptance of the facts, acts or omissions that are imputed, but neither will be stopped the subsequent legal procedures of the Ethical Judgment and Sentence, which will be carried out in the “absence” of accused provided that he/she/it does not make his/her/its statement. It is important that if the defendant intends to question the competence of the Committee and the Tribunal, he or she should state it during the “Response” stage of the accusation, since if he or she does not do so, it will be understood that it has consented to the Ethical Trial. ARTICLE 45.- In case the Required or Accused party offers sincere public apology for what was done, and as far as possible amends his/her/its fault or violation to the Buddhist ethics way or human rights, in such cases the accused shall apologize publicly and formally, simultaneously performing acts designed to amend their offenses. In these cases the Committee and Tribunal agree on a “Peaceful and Reconciliatory Resolution”, with no need for the voting of the Jury members and the President’s Sentence. However, if there is a repeated infringement, such “Peaceful Conciliatory Agreement” would have been violated, situation in which the voting of Jury members would be immediately held together with the subsequent Ethical Judgment. ARTICLE 46.- The Accused shall have the right to a lawyer. In case the accused lacks any legal representation before the Committee and Tribunal, a Public Defender shall be assigned. The above mentioned Public Defender shall speak in defense of the accused, being able to recommend accepting responsibility or reaching a conciliatory resolution, by being able to impugn charges or evidences, or being able to present proof regarding the innocence of his/her represented party, situation in which the President shall decide about its admissibility. ARTICLE 47.- Following the stage of Response by the Imputed Party, and after having been received the validation of charges and evidences by the President, it will be given beginning to the “Ethical Judgment” by the Prosecutor before a Jury composed of Buddhist persons acting on behalf of Buddhist institutions and communities. In such presentation the evidences will be corroborated to the alleged case of violation to Buddhist ethics or human rights, by being validly accepted face-to-face and non-contact eyewitness testimonies coming from honorable people of an irreproachable conduct; physical and digital documentaries; Editorial and internet publications; emails, audios and videos; correspondence of postal service and other resources that constitute sufficient proof or complaint in urging Procedure. ARTICLE 48.- Faced with Evidences submitted, the Jury Members of the INTERNATIONAL BUDDHIST ETHICS COMMITTEE & BUDDHIST TRIBUNAL ON HUMAN RIGHTS shall issue a Judgment or Verdict as a decisive part of Ethical Judgment, the Accused being declared as “Responsible” or “Innocent” in the Buddhist Ethics and Human Rights arena. The vote of “Abstention” would also be permitted, although after 4 consecutive abstentions it shall be considered effective the resignation of the Jury member. The Jury will issue an Opinion by a simple majority in the term of 5 five working days. The vote of the Jury members is secret. ARTICLE 49.- The accused will be declared responsible when has been demonstrated Responsibility beyond any reasonable doubt. ARTICLE 50.- In cases where the minimum number of 3 votes on the part of the Jury is not gathered, the President may call a second vote, considering the absences of the first voting as abstentions. ARTICLE 51.- Where Jury members votes are tied, the President may call to the Substitute jurors in order to define the votation. ARTICLE 52.- Members of Committee and Tribunal may request license periods through previous notice in order to attend trips or meditation retreats, or to deal with health issues. Such licenses may not be requested once they have received a case, in whose situation their absence will be considered as an Abstention. ARTICLE 53.- As an alternative to the votes of “Responsible” or “Innocent” and also of “Abstain”, it will be allowed to declare the accused as “Insane” provided that the evidences merit it. ARTICLE 54.- The President may declare the vote of a member of the Jury as “Null”. This may occur when the member of the Jury votes with reasons that violate Buddhist Law, Human Rights or Jurisprudence of the Committee and Tribunal. ARTICLE 55.- After the Judgment or Verdict dictated by the Jury, the President and Spiritual Judge of the Committee and Tribunal will make an Ethical Statement as a teaching and a final conclusion on the case. ARTICLE 56.- In the Ethical Judgment made by the President, a repair, restitution, indemnification or rehabilitation that benefits the victims may be requested. ARTICLE 57.- In certain cases, the President may issue Acts, Notifications, Legal Opinions and Resolutions about the Judgment to third parties involved or related to the case. Those same post-sentence procedures can be sent to the Jury members before an eventual expansion of charges in cases that continue to occur or violations of the Ethics or Human Rights getting worse by the Accused after being issued a first Judgment. ARTICLE 58.- In cases where the defendants appeal the Judgment, the case must be analyzed by the Supreme Buddhist Court of Justice, which will decide whether the judgment is valid or void. ARTICLE 59.- The President of the Committee and Tribunal also has the function of establishing projects for dialogue with countries and international organizations in order to transmit the values of Buddhist Law throughout the world. ARTICLE 60.- The INTERNATIONAL BUDDHIST ETHICS COMMITTEE & BUDDHIST TRIBUNAL ON HUMAN RIGHTS delivers distinctions, honors and awards to individuals, organizations and governments that stand out by their actions for Peace and Justice. ARTICLE 61.- The INTERNATIONAL BUDDHIST ETHICS COMMITTEE & BUDDHIST TRIBUNAL ON HUMAN RIGHTS challenges and invalidates all spiritual degree to Buddhist Masters that has been issued by any government, especially in cases of governments violating human rights. ARTICLE 62.- The INTERNATIONAL BUDDHIST ETHICS COMMITTEE & BUDDHIST TRIBUNAL ON HUMAN RIGHTS may challenge and invalidate prizes awarded to individuals, after having demonstrated the spurious nature of such awards.